INSPIRED IMPACT is an ongoing blog series that gives voice to social entrepreneurs and leaders of mission-driven organizations who are making an impact in their communities, industries and around the world. 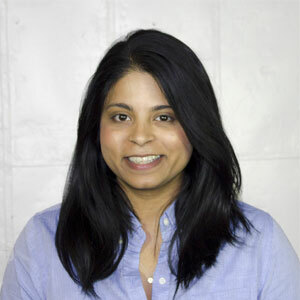 Andrea Sreshta is the Co-founder of LuminAID. Follow them on Facebook, Twitter, Instagram and YouTube and learn more at luminaid.com. LuminAID is the world’s first creator of inflatable solar lanterns and phone chargers. Durable, waterproof, and tested for extreme conditions, LuminAID lanterns are designed for humanitarian aid, emergency prep, and outdoor activities. More than 1.1 billion people worldwide lack reliable access to electricity, but humanitarian and disaster relief organizations have difficulty finding ways to get safe light to those who need it most. We designed LuminAID compact solar lanterns as a sustainable response to this unmet need. LuminAID seeks to make safe light and energy accessible for all. Through humanitarian partners and LuminAID’s Give Light Get Light program, more than 250,000 LuminAID solar lanterns have been used by those without reliable electricity in more than 100 countries. LuminAID lanterns also offer a sustainable option for emergency prep and outdoors activities for people around the globe. When we think of our most basic human needs, we often think of food, water and shelter. But after seeing the post-earthquake relief efforts in Haiti in 2010, co-founders Anna and Andrea considered the dangerous conditions at night in the tent cities of those trying to recover. They turned their attention to an often overlooked critical need : light. They designed the LuminAID light to be easily distributed in times of need by packing and shipping flat. To date, through partnerships with NGO’s and relief organizations, LuminAID has assisted hundreds of thousands of women, children, and families by providing access to light in dangerous situations. Light and power are basic tools for success for people around the world. We created LuminAID to design sustainable products that could make a difference, bringing renewable energy wherever it’s useful. We seek to make light and power accessible both in people’s daily lives and in their times of need. We’ve been able to grow as much as we have by connecting with people and partners who share a common vision for accessible light. We hope to share this vision with larger audiences to continue to grow and share light with more communities worldwide. With more funding, we’ll be able to further boost our efforts in innovation and accessibility. LuminAID products are prominent in humanitarian aid, camping and outdoor recreation, as well as emergency preparation. Due to the diversity of customers and applications of our solar lights and phone chargers, it’s been a challenge to manage and anticipate what are customers and partners in each arena need. However, this challenge has been key to our success, as it feeds into our vision to make products that are intuitive and versatile for a wide range of users and use cases. Big ideas become achievable when you break them down into small steps. Understand your vision, and detail the steps you need to take to get there. Those wishing to support our humanitarian partnerships can contribute to our Give Light Get Light project that sponsors light for communities in under-electrified communities.